Beyond the specifics, the broader question of citizenship policy being faced by many governments is the balance between citizenship as “place” — assuming that citizens remain in their country of immigration — and citizenship as “status”, or a more instrumental view of citizenship as a means to secure employment and other rights. In contrast to earlier waves of immigration — largely one-way, with limited and expensive two-way travel opportunities — today’s globalization enjoys free communications, low-cost travel, community-specific media (either Canadian or internationally-produced), all of which makes identities more fluid and complex. 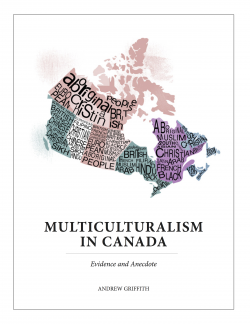 As governments try to reinforce a strong sense of Canadian identity, they come up against this reality — which is particularly the case for the more well-educated and trained immigrants that we aim to attract, and who tend to be more mobile. Whether it be to pursue opportunities in their country of origin, or go back and forth to pursue business and other opportunities, citizenship policy has an impact on diaspora linkages and mobility. Make it too restrictive and the linkages may be underdeveloped — make it too easy and citizenship may be instrumental, without attachment. Hopefully, once the draft bill is tabled, both parliamentary and public comment and discussion will engage in a broader debate about what kind of citizenship approach we want. Apart from the question of whether an incoming government will appoint a strong minister (history suggests that Jason Kenney was an exception), there is also the question of whether citizenship will be a priority in relation to immigration and refugee policy. Whatever changes a new government chooses to pursue, comprehensive public consultations and a willingness to entertain opposition suggestions (and in the case of legislation, amendments) should be an essential part of building consensus and ongoing support for whatever approach an incoming government pursues. Previous governments made citizenship too easy to get and too hard to lose. The Conservative government redressed that imbalance. Hopefully, a new government will be able to achieve a new balance, maintaining the increased integrity bequeathed to them, but making needed adjustments to reinforce a more inclusive and welcoming approach to citizenship. Which Country Would You Die For?